LOS ANGELES--(BUSINESS WIRE)--The Board of Trustees at Children’s Hospital Los Angeles (CHLA) has announced that Paul S. Viviano, currently the chief executive officer for the University of California, San Diego Health System and associate vice chancellor for UC San Diego Health Sciences, will serve as the organization’s new president and chief executive officer beginning Aug. 24, 2015. Viviano will be a member of the hospital’s Board of Trustees and will succeed Richard D. Cordova, FACHE, who previously announced his approaching retirement last December. Current President and Chief Executive Officer, Richard D. Cordova, joined the organization in 2005 and assumed his current role in 2006. Cordova’s pending retirement was announced by the Board in December 2014. Cordova says that the institution’s senior leaders made an excellent decision in the selection of Viviano following a comprehensive national search. “It has been an incredible privilege to serve at the helm of the best children’s hospital in the nation, and I wish Paul Viviano well as he continues to build upon CHLA’s history of success as the preeminent pediatric medical facility in the state,” says Cordova. Viviano has served in numerous executive leadership capacities in health care organizations in Southern California. Prior to his service at UC San Diego, he served as chairman of the board and chief executive officer of Alliance HealthCare Services, the nation’s largest provider of advanced outpatient imaging services. 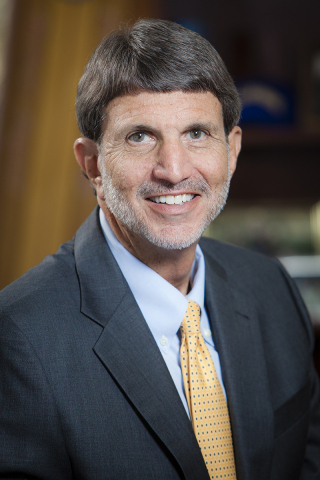 Previous to that, he served as president and chief executive officer of USC University Hospital (Keck Medical Center) and USC Norris Cancer Hospital and prior still, held multiple executive posts in the St. Joseph Health System. A Los Angeles native, Viviano has a master’s degree in public administration with a focus on public health from the University of California, Los Angeles and a bachelor’s in political science from the University of California, Santa Barbara. Viviano says that he looks forward to joining the CHLA team and supporting such an impressive mission. For more information, visit CHLA.org. Follow us on Twitter, Facebook, YouTube, LinkedIn and Instagram, or visit our blog: WeTreatKidsBetter.org. The Board of Trustees at Children’s Hospital Los Angeles (CHLA) has announced that Paul S. Viviano will serve as CHLA's new president and CEO.